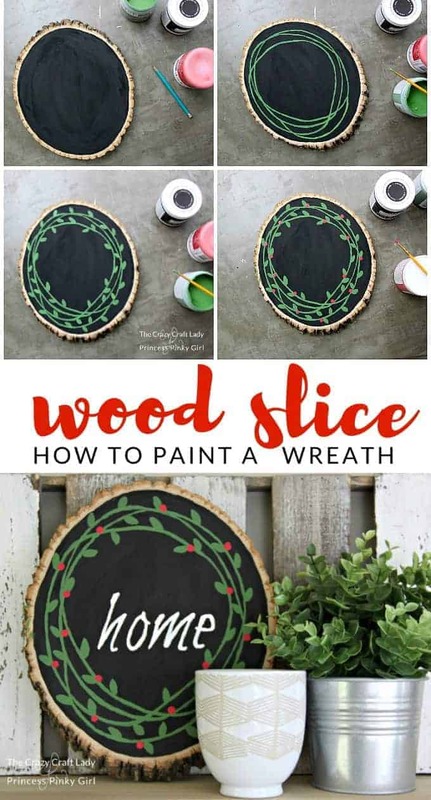 Learn how to paint a simple winter wreath and create a wood slice painted wreath that will last all winter long. 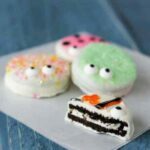 A great Easy Christmas Craft! 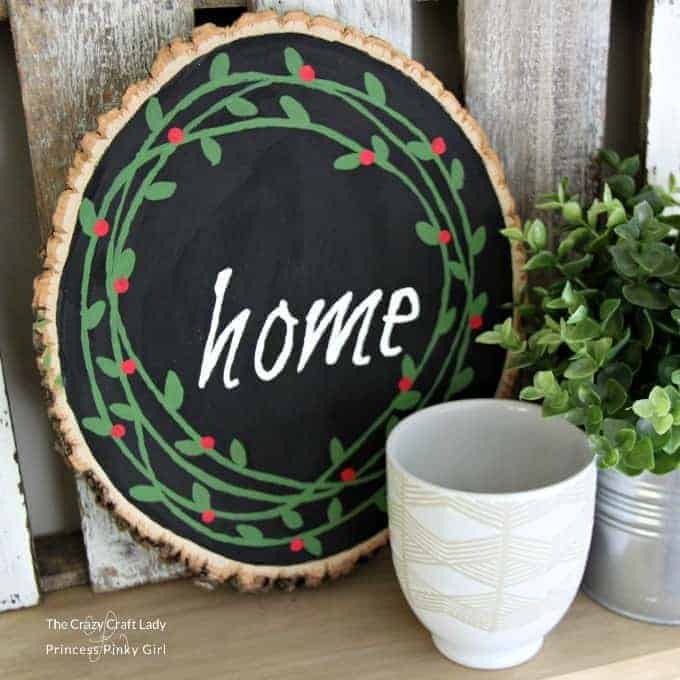 This Wood Slice Painted Wreath is such a great DIY and easy Christmas craft. It puts a new spin on an old classic wreath. 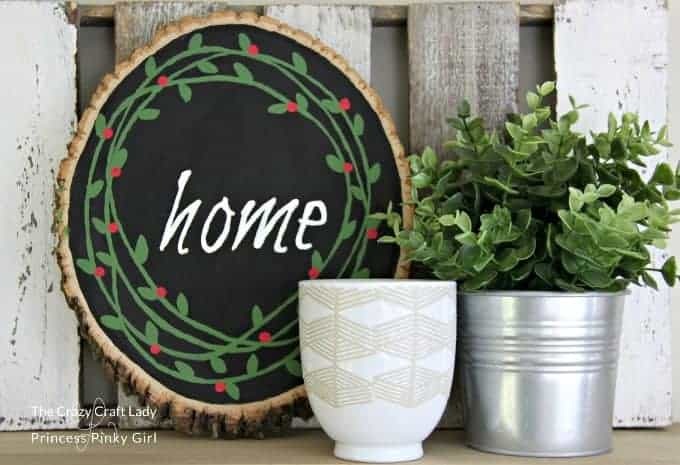 You will love this Christmas wreath for your home and it will make an amazing DIY gift for a friend! 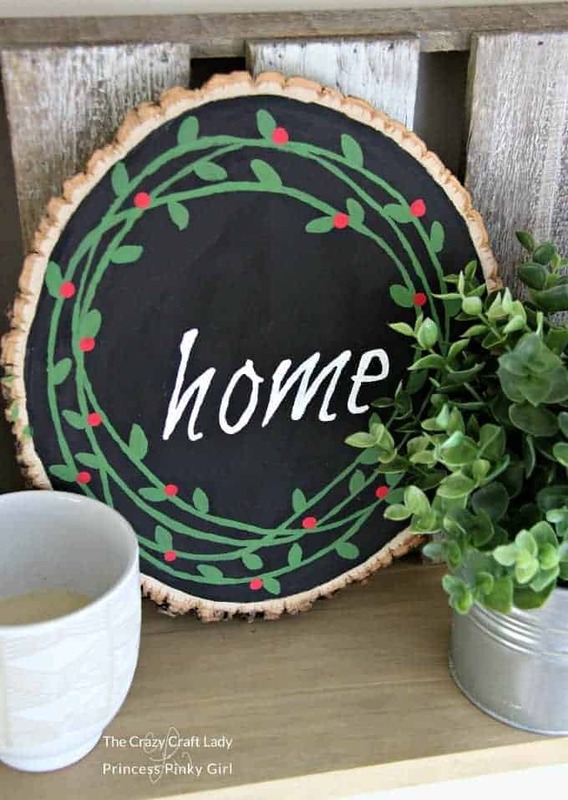 Thanks so much to Jenn for letting me stop in today and share this guest post – a (looks fancy, but I promise it’s super easy) DIY wood slice painted wreath. I hope you all enjoy it! Love the modern farmhouse decor look? 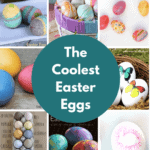 Take a look at this great roundup of all things DIY modern farmhouse decor projects and how to get that Farmhouse decor for that Fixer Upper Look in your own home! Wood slices, also known as wood rounds have been popular in DIY and crafting for a few years now. Craft stores have caught on, and these unfinished pieces are available in tons of size and style options. 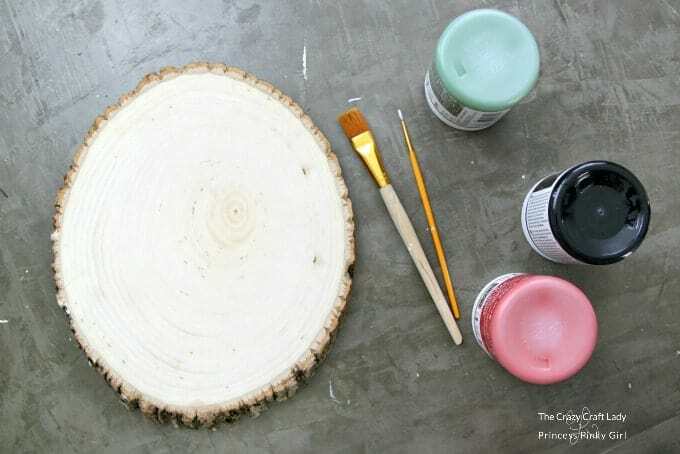 For a fun, everyday wood slice craft, check out this painted tree slice I made for my home office. Wood slice, often called a “wood round” – found in the unfinished wood section of your local craft store or here on Amazon! I know it may seem daunting to paint a wreath, but trust me. It’s super easy. If you can paint circles and football, follow these instructions. 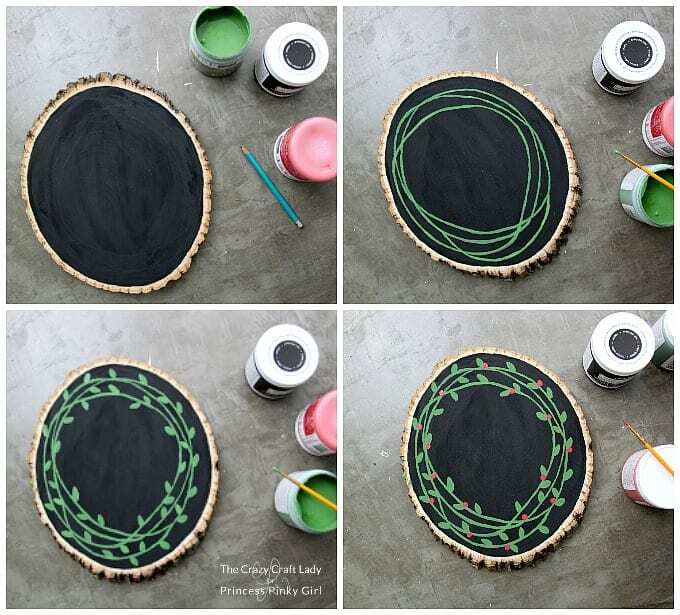 You’ll have a painted wreath in no time! Not counting dry time between colors, I spent less than 30 minutes on this craft. Start with a clean, unfinished wood slice. Using a 1 to 1 ½” wide flat brush, paint a layer of black chalk paint. You can paint all the way to the wood slice edge, but I prefer to stop painting at the edge of the ring made by the bark. Let the black chalk paint dry completely. Next, paint small football shapes around the rings. These are your leaves. I recommend having one end of the “football” touch the ring, and having the other point face out at an angle. Let the green chalk paint dry completely. If you want to learn how to transfer words and images without a stencil or fancy cutting machine, follow the method I used on this decorative tray. 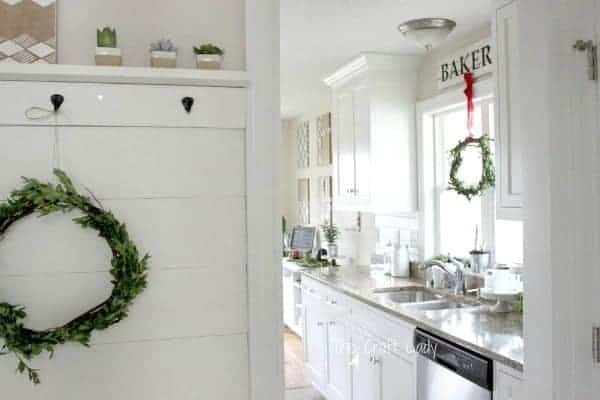 Depending on your décor style, this painted wood slice wreath can stay up throughout the winter – and even year-round if you like! I displayed mine on a shelf with a favorite candle and small plant.